In every photographer’s career there will always be a photograph that will change your career and possibly your life too. 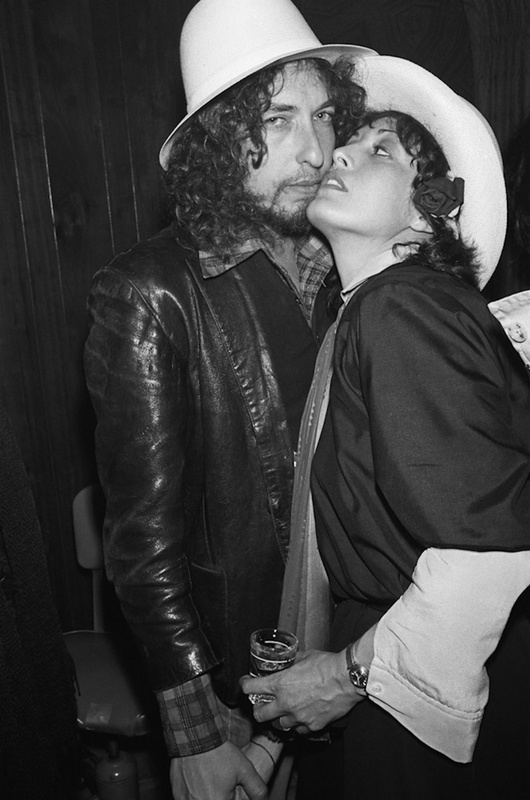 This was the case when I got to meet and photograph Bob Dylan in the dressing room of The Roxy Theatre in 1976. Ronee Blakley was performing a showcase at The Roxy Theatre on the Sunset Strip. She knew that I adored Dylan and made sure that I was on the guest list. It was not a tip-off but a Come and Enjoy the Show invite. Guess who shows up and takes a seat in the VIP section? After the set, Dylan was escorted backstage and I was right behind him. Ronnee made the legendary introduction. Bob was incredibly friendly, remarking that I looked a bit like him! He even gave me a really limp handshake that was not all that impressive; but hey, it was Dylan! Ronee grabbed him and we did this amazing set of photographs. I was in heaven. Bob set up another group shot of him with a new actor named Robert De Niro and a host of other friends that included musician David Blue, actress/singer Lanie Kazan, actresses Martine Getty and Sally Kirkland. I did not have a clue who any of these folks were, but I just shot away!